Since you’ve come along this far (or maybe just beginning on my journey now), I wanted to invite you even further into my world for the next couple weeks… my first two weeks as a student teacher. I am getting ready to go into the classroom on Tuesday and I am beyond excited and slgihtly nervous. The first two weeks are designed as an opportunity to familiarize myself with my mentor teacher, the school layout and operations, the staff/admin, and policies. This way, when I come in April, the unknown will only be limited to the profession itself, not the geography. If you find yourself thinking of me from October 13 – 23, then that is probably why — I can use all of the prayers or support I can get. This is where my mind and heart are overwhelmed with the reality of how blessed I am. I mean, it’s not every day we are aware that we’re living our dream come true … right? Categories: Adventures | Tags: Accomplishment, Dreamin', Teacher Girl | Permalink. Who wouldn’t want to be that? I’m trying. Categories: Unfolding | Tags: Accomplishment, Change, Dreamin', Humbling | Permalink. When I was about 13 years old, I starting dreaming about going to university. I imagined it would be like the American colleges we see in the movies… like Princeton or Harvard or Stanford… with old brick buildings, cobblestone walkways, and stained glass windows in the library. Unfortunately, when I arrived in Calgary, my vision of what college was rapidly changed. The buildings were old, sure, but not character-old. And Mount Royal College even had automatically flushing toilets, which did not go over very well with me. UVic happened to be a little more part of what my dreams were. Even though the buildings are fairly new, if not brand new, my imagined campus with huge trees, with big trunks to lean up against when studying and leaves to fall in autumn, and brick walkways flanked with grassy areas, where it’s very common to find someone playing an impromptu “Dave Matthews” or “Jack Johnson” on his acoustic guitar by the fountain. Even though it rains, you can almost skip from tree to tree to keep shelter from the winds. The magnificent reds and oranges of the leaves are replaced with beautiful lilac buds and scads of daffodils in the spring. 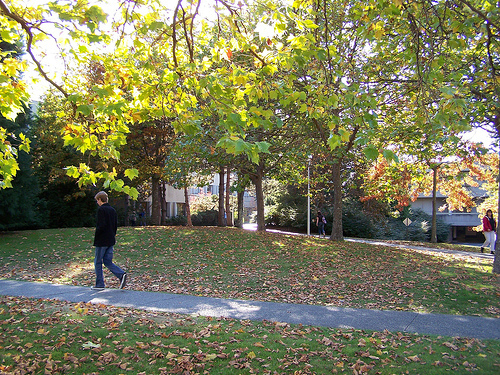 Every time I walk out of a building, I take a huge breath and think “This isn’t like in Dawson’s Creek…but it’s close!” UVic is beautiful, but the geographics still didn’t fit my college imagination; my college dream. The more I think about it though, UVic was my dream. In grade 12, right before grad, we had to fill out a form that said “Where you plan to be next year” and I wrote “Victoria.” When I got my diploma, they said “Kate Stam, future plans: UVic”. When I was 10, Victoria was the main, vivid vacation spot I had so I always wanted to live or end up here. Life panned out, I spent 3 very important and growing years in Calgary, before I came here. I never was accepted to UVic the year I graduated high school. I couldn’t come here. Yet I was so sure Victoria is where I was supposed to be. Wow! Are you serious? I mean, it’s felt like a lifetime ago that I started this adventure, and I am so unbelievably excited to finish this part of my education, but a quiet voice in my heart whispered “already?” That’s the thing about dreams come true — when they do, you have to appreciate and enjoy and envelope yourself in the awe of that moment when that dream is realized…and then spend every moment living with that realization and doing with that dream all that you can to show you’ve appreciated it. Because all that dreams come true are are answered prayers. And I don’t think I’ve used these one and a bit years so far giving back to the Lord in what He gave to me in realizing this dream. I need to remember that… and I thought I would share that for you and your own answered prayer-dreams… what have you done with your own dreams come true and answered prayers? Categories: Unfolding | Tags: Dreamin' | Permalink. 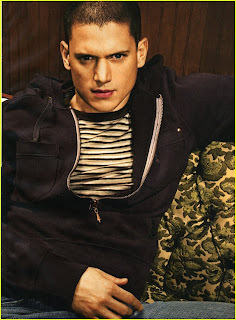 My boyfriend. I have been debating for the last few weeks whether I should show you guys my new man, as he is currently running from the law since breaking out of prison last spring. We rendezvous when he can but he stays in hiding most of the time. Him and his brother are innocent of their crimes, and last week when I saw him, the president was going to set them free. This would’ve been wonderful because I could have brought him home for the summer or to Camrose next weekend, but it turns out, the president did not follow through on her promise. So I just wait. It’s very agonizing, as I don’t know when I will see him next. He sneaks around, leaving me origami cranes on my pillow and the seat of my car to let me know he’s near by. I just hope this is all over soon so I can take him to meet my mom and start planning our wedding. 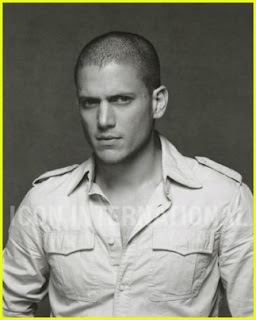 Here he is, Michael Scofield. Isn’t he beautiful? I mean, I am a little biased but I think you would all agree. Categories: Hilarity | Tags: Dreamin', Excitement | Permalink. I turned on the TV last night to the words “Great Save by Michael Wall” (or something to that effect) and turns out, yesterday, Sunday, November 26th was a friend of mine’s first game in the NHL! And… they won! 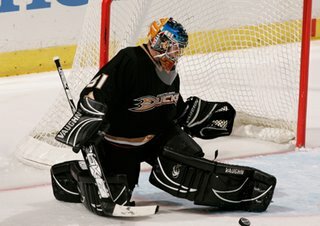 I can’t do it justice because I missed some of it, but read about it here: http://www.anaheimducks.com/press/release/topstory.php?dir=200604&id=1511. Second best part: he beat CALGARY! I only wish it had been at home so I could’ve watched it up close, but a win on home ice? 🙂 🙂 🙂 Awesome Michael, nothing quite compares. It couldn’t happen to a better, or more deserving, guy. Yea! Categories: Characters, Unfolding | Tags: Dreamin', Friends | Permalink.